The ribbon cutting at the new Silver Rail Elementary School in Bend Oregon is the second this week for Kirby Nagelhout Construction Company. A ribbon cutting ceremony was also held earlier this week at the newly constructed Pacific Crest Middle School. 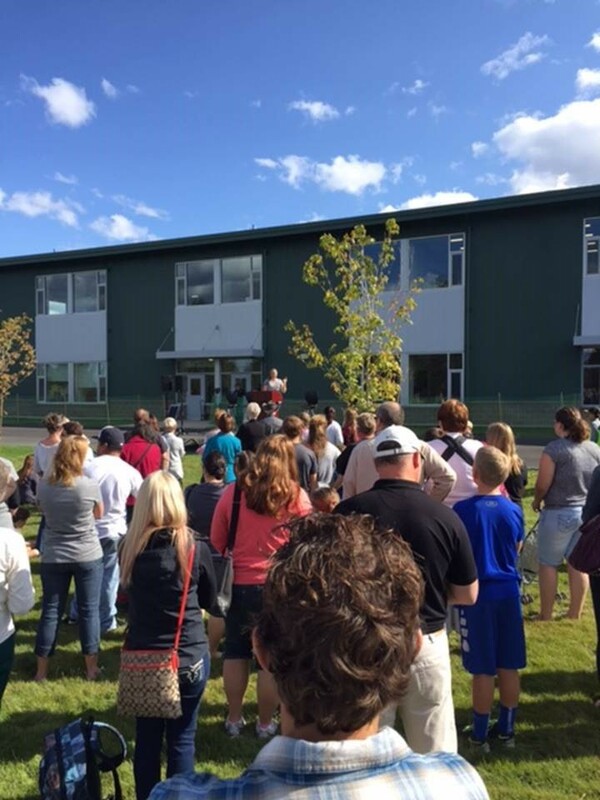 The Bend LaPine School District and School Board welcomed students and parents to the ribbon cutting ceremony held September 3, 2015. Work began on the 69,470 square foot building in May of 2014 and is ready for its first students on September 8.